When homeowners in Tampa, FL, need closet organizers that perfectly meet their needs, they turn to 31-W Insulation. Our talented and highly experienced associates work closely with homeowners to assess their storage needs and evaluate their preferences regarding how they like to keep things organized. 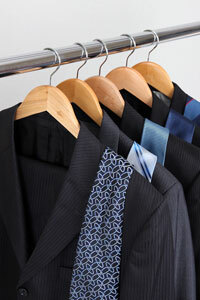 Then, we facilitate our customers in designing their ideal closet organizers. You can design closet organizers that beautifully complement the rooms in your Tampa home. No matter if you prefer a sleek, modern aesthetic, or appreciate the beauty of traditional furnishings, ClosetMaid is sure to offer shelving components that will perfectly reflect your unique taste in décor. To learn more and to start designing your custom closet systems, contact 31-W Insulation today. We’ll gladly visit your Tampa, Florida, home to provide a complimentary consultation and no-obligation design estimate. If you’re interested, we can also tell you about our other home improvement services, such as the installation of fireplaces, gutters, attic insulation, and more.